Dr. Daniel B. Nicholas, Psy.D. 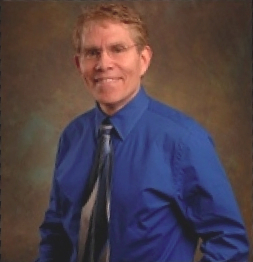 Dr. Nicholas is a licensed Clinical Psychologist who is the clinical director of Professional Counseling Services. He has been practicing for 20 plus years. He is a member of the American Psychological Association, National Register of Health Providers in Psychology, and the Illinois Psychological Association. He sees children, adolescents and adults.Dr. Nicholas has written in the areas of cognitive behavioral psychology, providing patients with an easy to apply strategies they can use every day to help them feel better fast. These protocols are customized to each patient and can be readily taught to both children and adults. Dr. Nicholas has received extensive training in many different forms of therapy. He will typically select types of therapeutic approaches that best match the specific problems, characteristics and preferences of each patient. Dr Nicholas received continuing education and training from Harvard Medical School and Northwestern’s Family Institute on the subjects of Mindfulness and Meditation. The emphasis of this training is how to enhance our everyday life, reduce stress, and to improve our relationships. Dr. Nicholas also has ancillary staff privileges at University of Chicago Medicine, Ingalls Memorial. These privileges include consulting with the departments of psychiatry, neurology, rehabilitation services, and the health management center. Extensive continuing education in child, adolescent, and adult therapy protocols. We accept most insurance, cash, checks, and most major credit cards.